EL PASO, TEXAS – It was almost Summer in 2007 and Devin, our middle child, was leaving shortly with a group of Coronado High School friends for a three-week ACIS tour of Europe. Mr. Briggs, a beloved teacher at Coronado, had hosted these tours for 25 years and this would be his last before retiring. The final months of Devin’s Junior Year at El Paso High School were winding down, and it was a rare treat for her to get a slot on the “famous” Briggs European Tour for Coronado High students. Melinda had almost come to terms with the idea of her youngest daughter flying to Europe and touring for a few weeks with a group of young people and couple of chaperones, but still didn’t like it. For my part, I thought Devin’s choice to take this tour rather than be a debutante in the annual Symphony Ball was a refreshing, bold decision. I thought she would certainly learn more from this trip. How much more, as it turned out, would surprise even me! 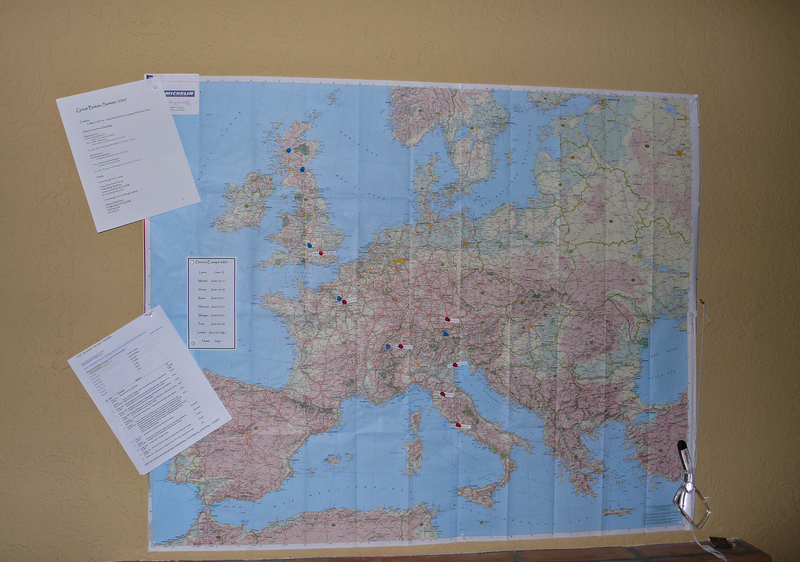 I hung a Michelin Map of Europe in the Master Study and marked the route she would take with pins so that the journey would have some realty for those of us left behind. It actually helped Melinda find some comfort by focusing on the schedule and route Devin would take. The map often drew me away from the desert Southwest where, in my mind, I wandered through the streets of the Old World again. I would find myself staring at that map, remembering places that I had seen once in my life, many years ago… during a college summer in 1973 when Walker Jackson and I backpacked and rode the trains throughout the Continent for 2 1/2 months. We never got to England on that trip, however. Devin’s last stop before returning home this Summer would be London. I thought: How great would it be to take Melinda and Liam and meet her there? I’ll never really know where this idea came from but it proved providential. However, the greater plan was soon dashed. In spite of great insistence on my part, including offers that approached bribery, I couldn’t get Melinda to jump the pond. Her family was coming to visit from Colorado around the Fourth of July, anyway. Graciously, sweet Melinda encouraged me to go on my own – sort of a classic “Father-Daughter Trip”. This would work, a smaller more efficient plan! Within a few days of the idea (after assuring Devin that I’d be totally inconspicuous while her group had their own London experience) the plans were made. Two weeks abroad, meet Devin in London the first week and tour Scotland the second, flight home from London with Devin in mid-July. 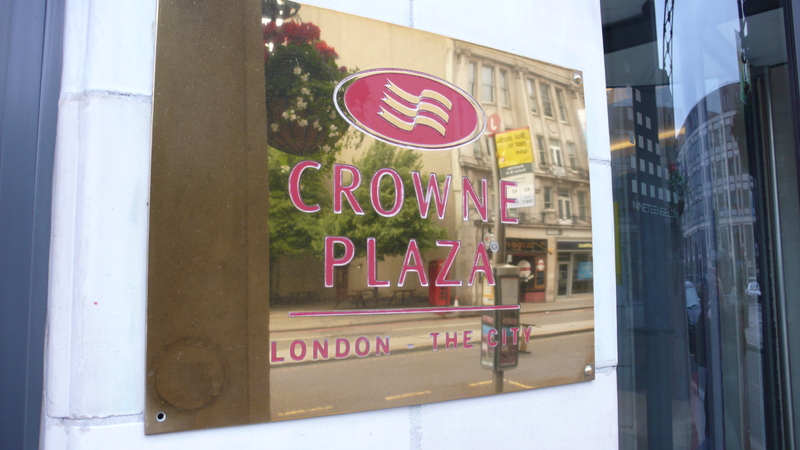 I arrived in London early in the morning of the day Devin’s ACIS group arrived, June 29th, checking into the same hotel they would use, for convenience: the Crowne Plaza Hotel London-The City, at Blackfriar’s. The Delta Airlines flight from El Paso (non-stop to Atlanta then on an overnight flight to Gatwick Airport) was smooth and trouble-free. On the flight over, it was exciting to think of spending the next two weeks touring England and Scotland with Devin. We had a rental car reserved in Edinburgh for the second week, and I anxiously anticipated learning to drive on the wrong side of the road! I reflected on how beautiful and responsible my little princess had become, and how exciting the next few years of her life would be as she graduated high school, applied to colleges, moved away from home, and met new friends from far-flung places. How excellent to have this great chance to build stronger bonds before the world pulled us apart. 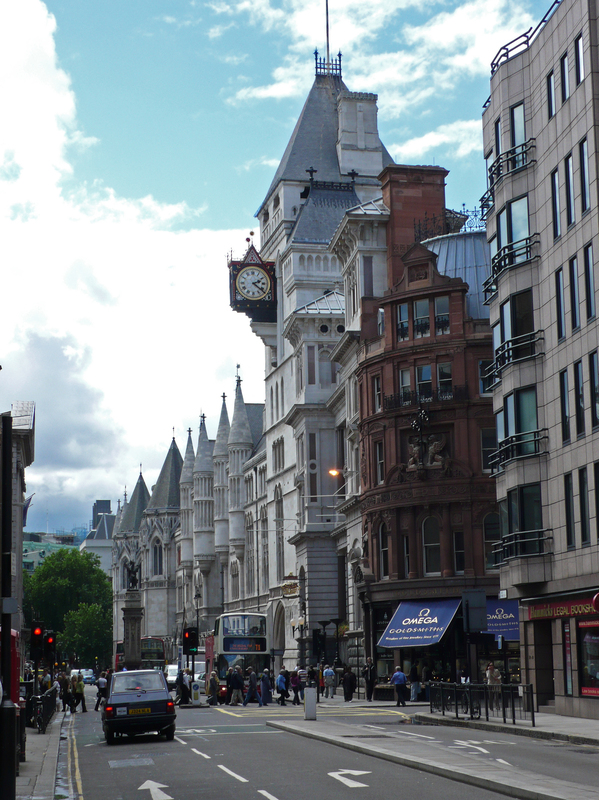 Mindful that my daughter would rather not have her Daddy around the hotel when her tour group checked in late that day, I freshened up and changed clothes early in the room and headed out for a walk through one of the oldest part of London…The City. Named for the original walled settlement on the banks of the Thames River, this was now the “business, legal and banking district” of London. The small side roads, like Bride Lane and Blackfriar’s Lane nearby, were cobbled and narrow and echoed the sounds of a vibrant modern urban landscape around us, buildings crowded up to the edge of the streets. Woodwork and signs nicely painted, brass polished, windows cleaned and planters filled with blooming fresh flowers lined the narrow alley-like streets. I had purchased from AudioSteps and downloaded onto my iPod Shuffle two self-guided narrative walking tours. 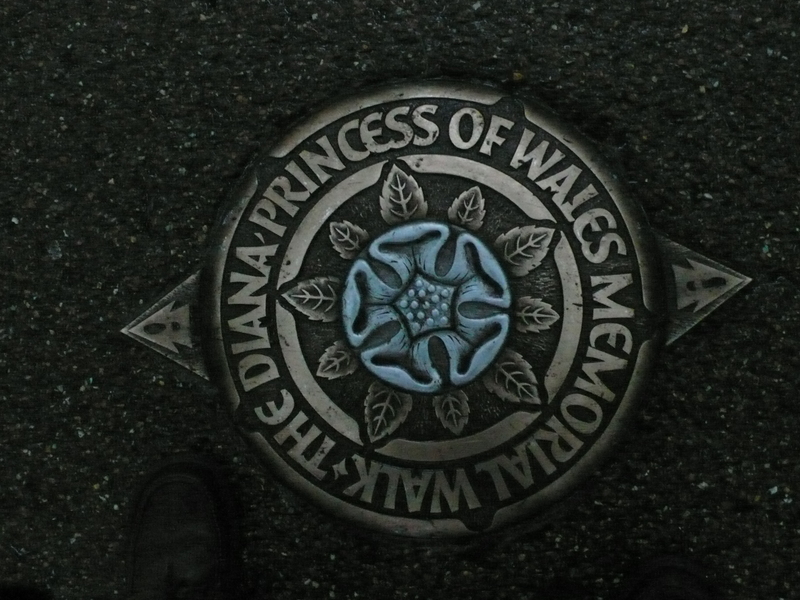 One on “The City and Tower of London” and the other on “The West End”. Before staring the first tour though, I had to find a pub and enjoy a local brew and a bite to eat. 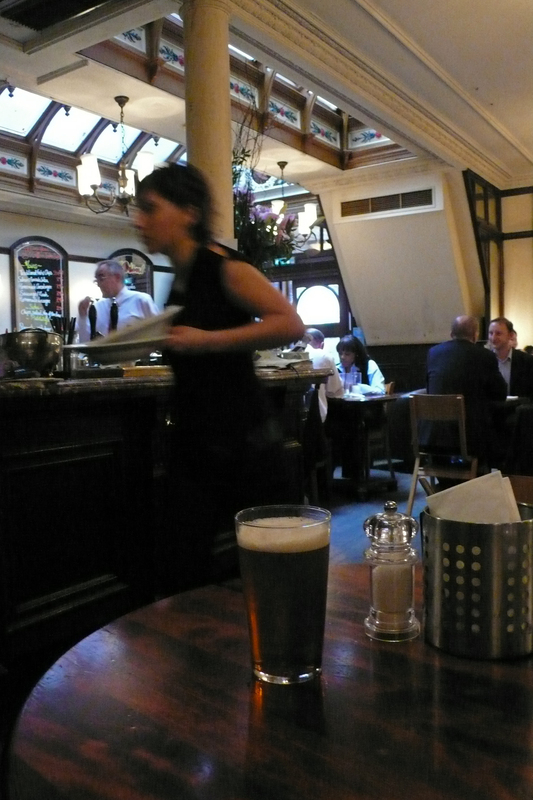 I swing into an inviting pub at 99 Fleet Street, just about two blocks north of the hotel: The Punch Tavern. 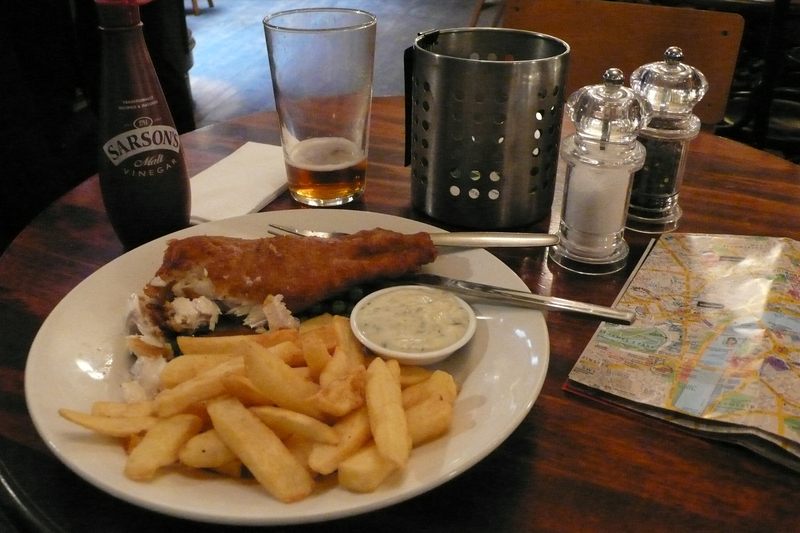 There, I had my first English draught and an order of fish and chips for lunch. The atmosphere was warm and cheerful, the tables filled with young men in dark suits and ladies in dresses all enjoying a lunch break from whatever office they were employed nearby. The previous building on the site was known as the “Crown and Sugar Loaf” but was renamed the “Punch Tavern” in the late 1840s because of its association with the satirical Punch Magazine whose journalists frequented the pub. 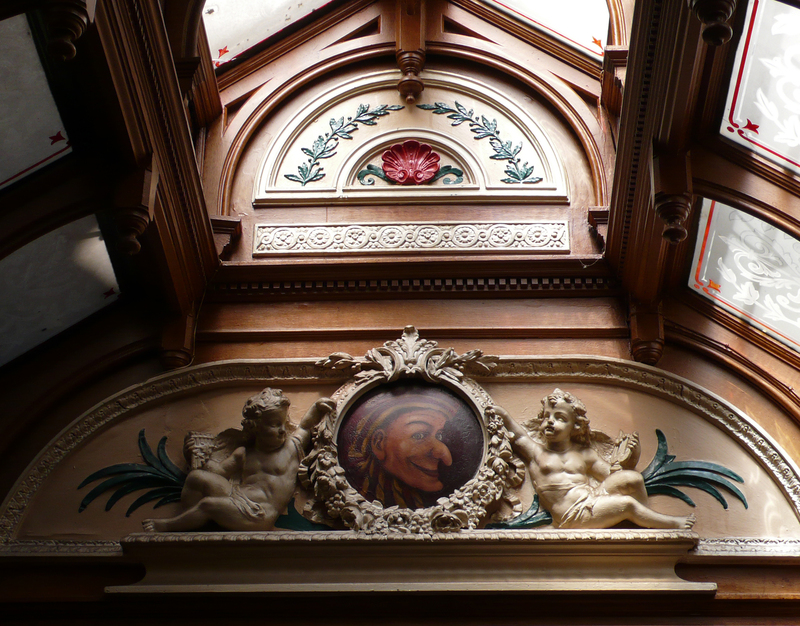 The building was rebuilt in 1894-5 and features many original Victorian details including a glazed tiled entrance hall with etched glass doors, barrel-vaulted ceiling, ten 6-foot mirrors, a marble bar, dark oak panelling, ornate fireplace and a series of original Punch & Judy themed paintings. 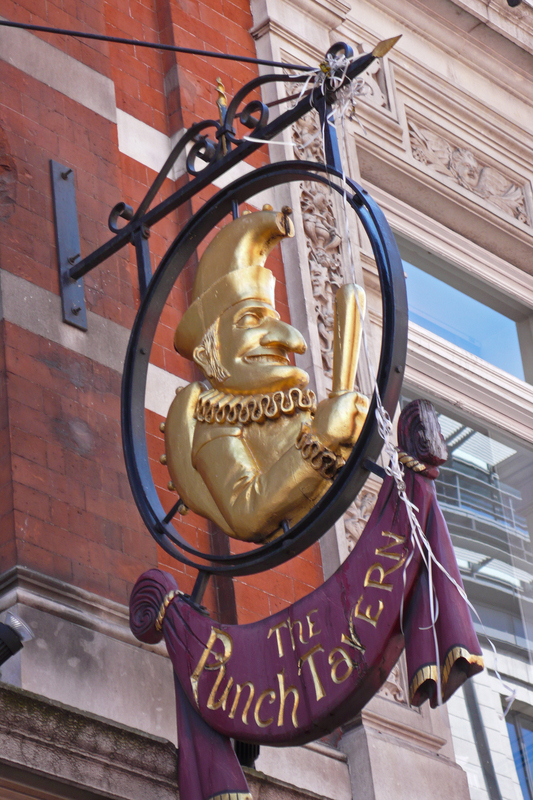 Outside the front door of The Punch Tavern is the bustling thoroughfare that forms one of the most historic by-ways in London: Fleet Street, which turns into The Strand and then into The Mall as it winds westwards toward Buckingham Palace. From here where I stood eastwards the road turns into Ludgate Hill where Fleet Street crosses New Bridge Street, and then at St. Paul’s Cathedral it’s name changes to Cannon Street for a long stretch through the financial district before becoming Eastcheap and Great Tower Street as it finally ends at the Tower of London. I felt immersed in the middle of a timeless story, whose names and places had whirled around in my imagination from books I’ve read my entire life. 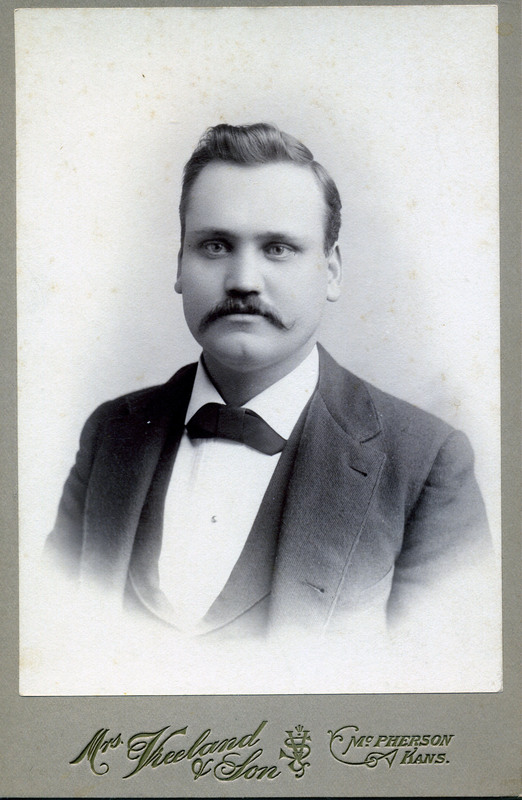 I was walking the paths that my great grandfather Dr. Andrew Engberg walked when he was an attending surgeon at University College (University Hospital) for advanced training almost exactly 110 years earlier! 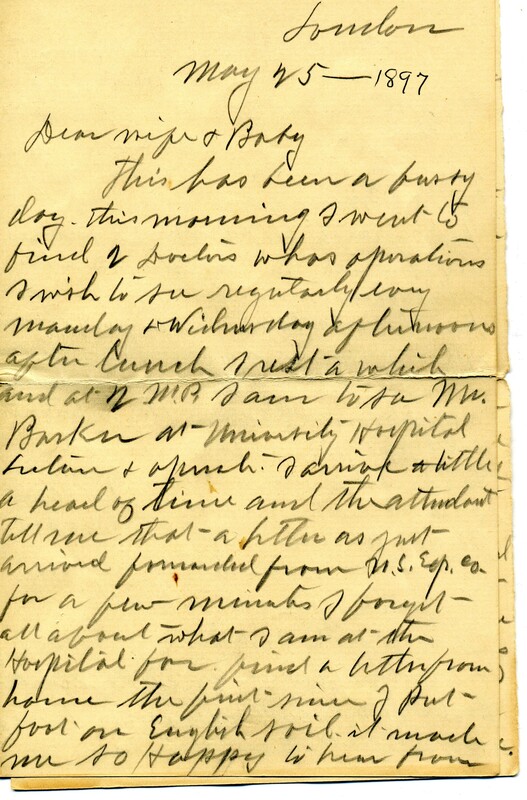 There was an odd familiarity to the whole place as I traced along The Strand that afternoon. Little did I know the uncanny thread of history that had reached through time and tugged my conscious mind to consider this journey. 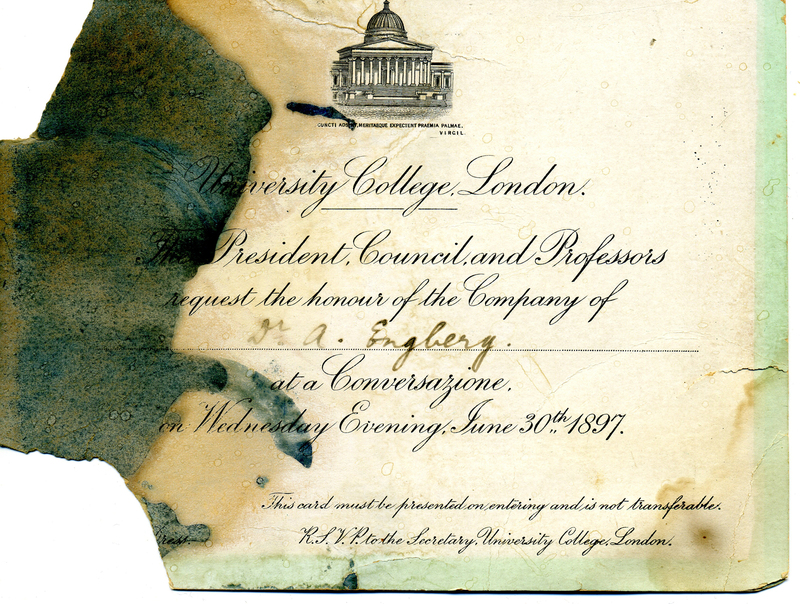 The medical and emergency response systems in London grew out of the studies undertaken at University College Hospital. Those systems played a dramatic role in a personal event that was to shake up this trip, and rock my world! ~ by Dave Etzold on August 21, 2010.